Sleep disorders are very common these days. Massage therapy can help improve your sleep patterns, and can be used as a natural sleep disorder remedy. Sleep is essential for good health, recovery from illness and for promoting normal metabolism. Holistic interventions can do much to promote good health and aid in recovery. The unconditional gift of healing touch acknowledges the individual’s worth regardless of the condition of the body or mind. 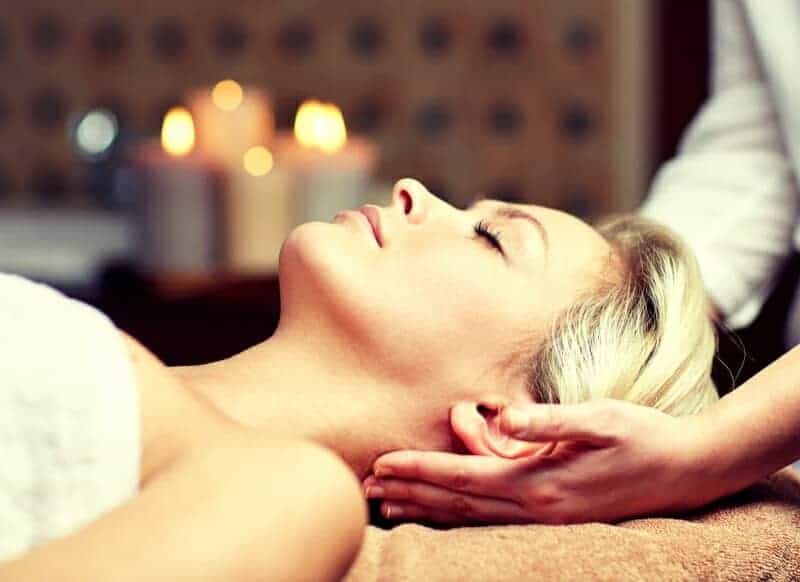 “Massage promotes relaxation and sleep,” says Lauren Tindall, principal massage therapist at Holistic Bliss Bodywork on the sunny Gold Coast. “If you’re kept up at night worrying about financial problems, a rocky relationship, or other stressful issues, a massage may be the key to sounder sleep. Regular massage sessions have been found to decrease depression and anxiety levels and improve sleep quality, perhaps because they trigger the release of serotonin, a neurotransmitter that can help you feel calm. The technique has been found to benefit children and adolescents, as well,” according to Ms Tindall. The benefits of massage are many. Massage is often used to help babies sleep, and is useful in treating sleep disorders in adults. It is regularly used in sports clinics and rehabilitation centres to loosen and soothe sore, aching muscles. Massage helps to reduce stress, improve circulation, release tension, lower heart rate and blood pressure, and assists to strengthen the immune system. These relaxing effects may therefore make massage a helpful aid in restoring restful sleep patterns. Massage is especially beneficial in treating sleeping problems that stem from stress, migraine headache, pain, and muscle and joint stiffness. Massage has a generalized effect on the autonomic nervous system, resulting in changes in mood and an induced relaxation response. Positive feelings and mood are enhanced. When you have a massage, the parasympathetic is activated and thus allows your body to relax. When you are stressed, the sympathetic is activated and you will feel the urge to fight or flight. Stress affects the body and the mind. The outward signs of stress include tense muscles and poor posture. So if stress and tension are the reasons why you are not sleeping very well, you might be relieved to know that one of the benefits of massage therapy is improved sleep patterns. A sleep disorder can affect your quality of life, whether you have sleep apnea, restless leg syndrome, narcolepsy, or the more common sleep disorder, insomnia. The consequences of insomnia on your health include loss of concentration and decision-making abilities. It can cause irritability and emotional instability. Many people turn to over-the-counter drugs to combat insomnia. The application of massage for insomnia relief is a more natural approach to the problem. Massage is an effective, healthy and substance free choice to help the scores of people who have insomnia. Insomnia is often associated with a lack of serotonin. Serotonin plays a role in mood, behaviour, body temperature, physical coordination, appetite and sleep. Massage can increase serotonin levels. Therefore it is a therapeutic drug-free means of reducing feelings of stress and anxiety. It is logical to seek a natural remedy to increase serotonin levels for people that are sleep deprived. In addition, serotonin is needed for our bodies to produce melatonin. Melatonin influences the sleep stage of our circadian rhythm. Circadian cycles are the internal periodic rhythms that profoundly affect sleep and wakefulness. This rhythm is what keeps us healed and whole. On a 24-hour cycle, the sleep and wake rhythms carry us through the vitality of the day and the restfulness of the night. When rhythms are broken or interrupted, the result is discord and possible feelings of anxiousness and stress. Massage helps restore balance so the rhythms of your life ebb and flow in a more natural pattern. When you are feeling stressed and exhausted it is hard to take the steps you know will help – a walk in the park or a visit to the gym. Massage allows you to give yourself into the care of another person and completely relax. Massage can create a powerful emotional response as the body and mind relax in a caring environment. Many people feel the mind ‘letting go’ as the body relaxes. The symptoms of stress are relieved as balance is restored. After receiving a massage many people report that they have much deeper and more restful sleep. Massage is becoming widely known for creating the powerful healing benefits of rest and relaxation. The application of massage is a wonderful natural remedy to facilitate and maintain optimum health and balance throughout our everyday lives. If you wanted another excuse to book in a massage, let Lauren provide one. “While improving the sleep experience, simply one hour of massage provides the body with benefits that are equivalent to a power nap,” she says. Massage therapy is the perfect prescription for sleep disorders. Not only does it address sleeping issues related to physical pain, but it also relaxes both body and mind. A proper massage and decent sleep will revitalize the body and as each day passes, energy levels will naturally increase. — Michael Kallergis, Gold Coast.